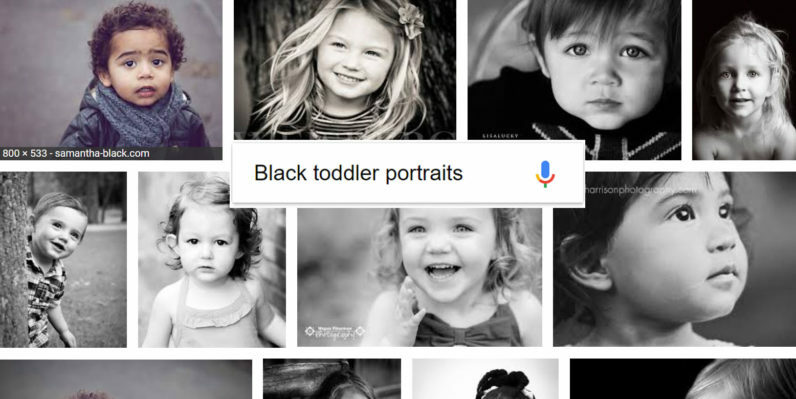 In today’s episode of AI Screws Up Again, try typing in ‘black baby portraits’ into Google. You will not get many photos of black babies. You’ll instead see a bunch of greyscale photos of (mostly) white babies. The same happens if you replace ‘baby’ with several other groups, including toddler – which is probably the worst – child, couple, etc. Even when the first few results aren’t so bad, they get much less accurate as you scroll further down (as you’d expect). It’s not just Google either; Bing is actually even worse. Welp. Prime examples of black couples. The problem seems to predicate specifically on the combination of the words ‘black’ and ‘portraits’. Google apparently thinks you’re looking for black and white images. The problem is also particular to that specific combination of words; typing in ‘black baby photos’ doesn’t suffer from the issue. So no, we don’t think Google’s AI is really being racist; it’s another unfortunate case of an algorithm gone wrong. Still, one would hope search engines would be better at figuring out when we mean ‘black’ as a type of person by now. It’s a reminder that AI still has a long way to go until it can understand our natural language queries with full accuracy, and that it’s up to people to teach our systems to do better.